Minio is an object storage server released under Apache License v2.0. It is compatible with Amazon S3 cloud storage service. It is best suited for storing unstructured data such as photos, videos, log files, backups and container / VM images. The size of an object can range from a few KBs to a maximum of 5TB. Minio server is light enough to be bundled with the application stack, similar to NodeJS, Redis, and MySQL. Read Also: How to install minio on centos? Now we will give execute permission to minio to execute it. When you run minio you will get a key and a secret. These are used to access the client and the browser. Minio Client (mc) provides a modern alternative to UNIX commands like ls, cat, cp, mirror, diff etc. 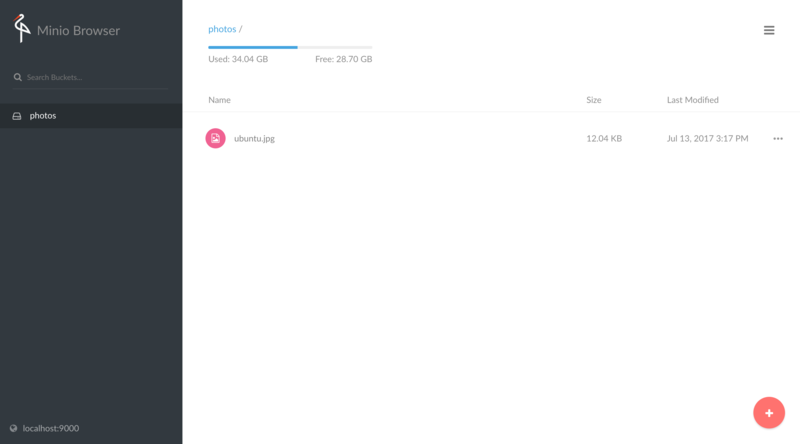 It supports filesystems and Amazon S3 compatible cloud storage service (AWS Signature v2 and v4). If you want to upload some data or files you need to create a bucket. We will use mb to create the bucket. Currently, there is nothing in photos directory let’s upload some file in it. You can create and access buckets from minio browser also. If you have any issues using this tutorial please feel free to comment below..
How to install postgresql on centos 7?